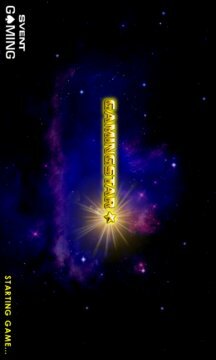 GamingStar is a multigamer from SVENT and it comes with 9 quality casino games with interesting gambling features and free games. Getting started: Use the "transfer" button (arrow) to book credits from the deposit to the credit account. Yoou can play the games only with credits in the credits account. 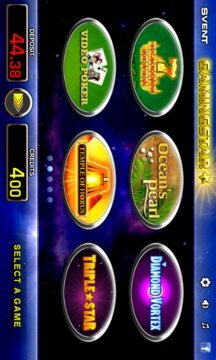 Before you quit the game you should book the won credits back to the deposit (cashing out). Only the credits in the deposit will remain after a restart. You wouldn't leave a casino without cashing out, would you? Follow the gaming success from other players all over the world in the online leaderboard and newboard.